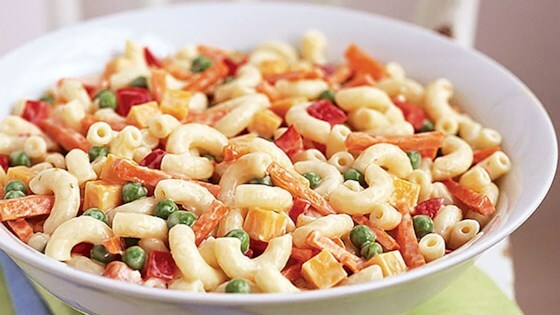 "We cut the fat-but not the creamy, delicious flavor-from our favorite pasta side salad." Mix dressings in large bowl. Add remaining ingredients; mix lightly. This salad is bursting with bright colors and fresh, authentic flavors.